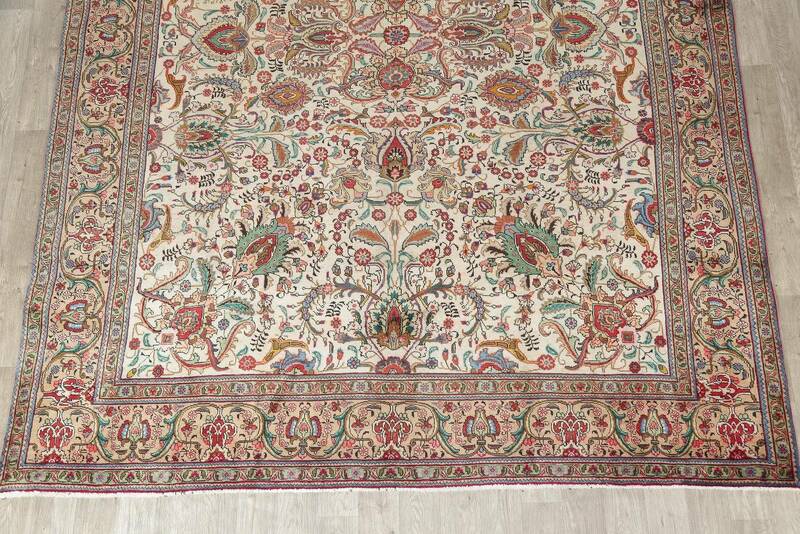 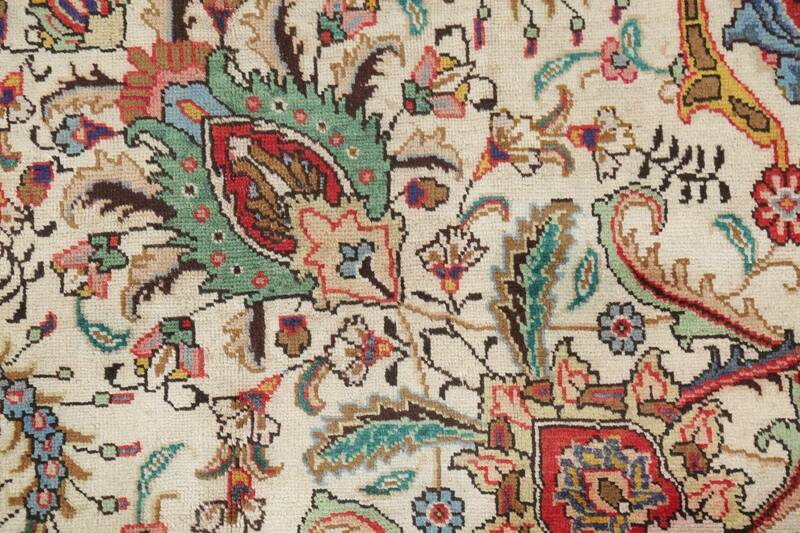 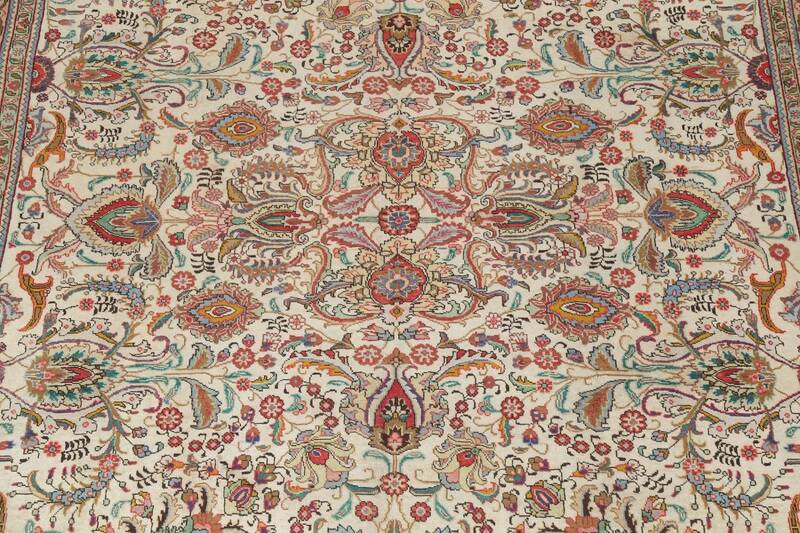 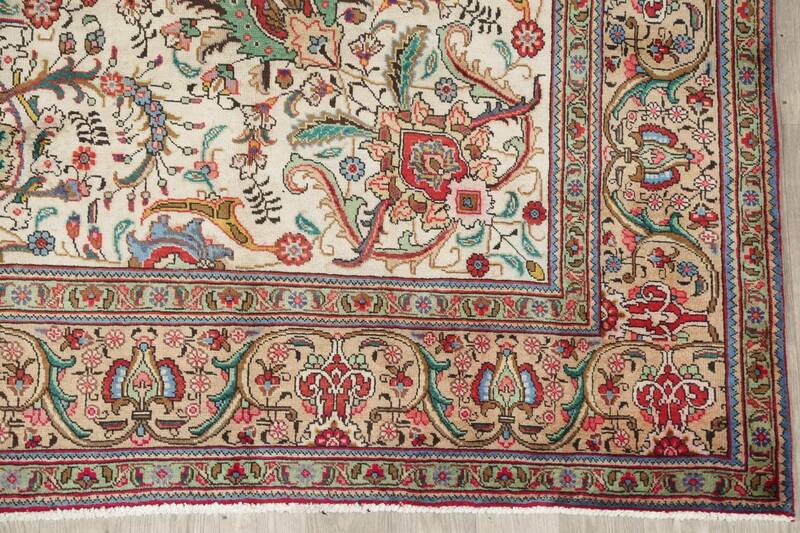 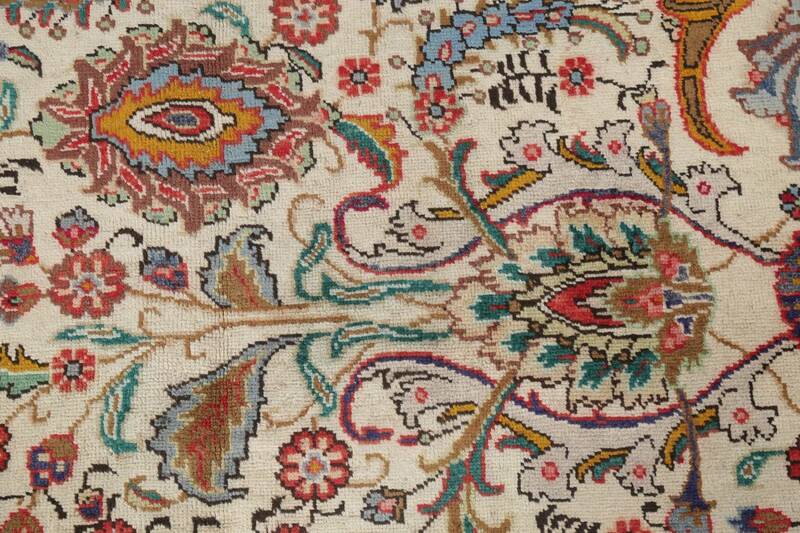 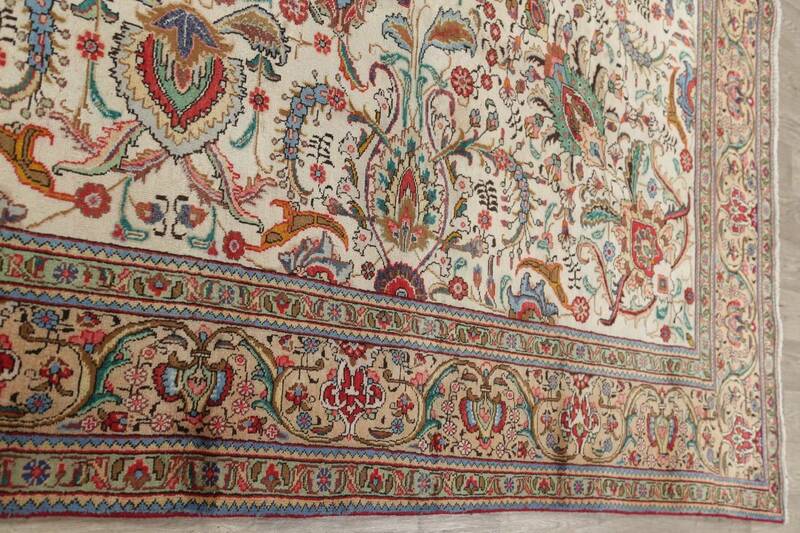 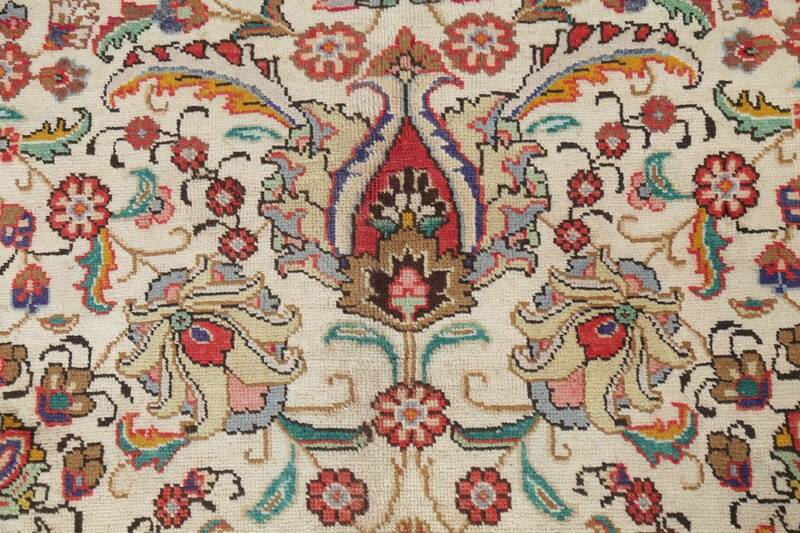 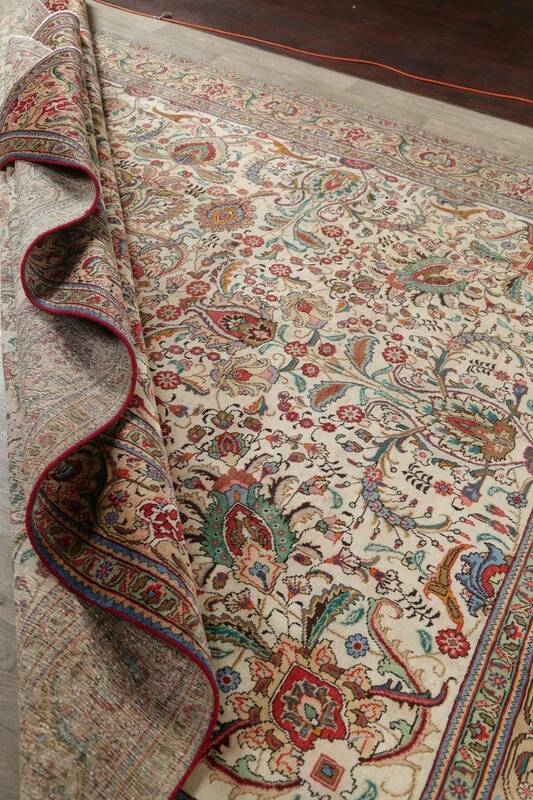 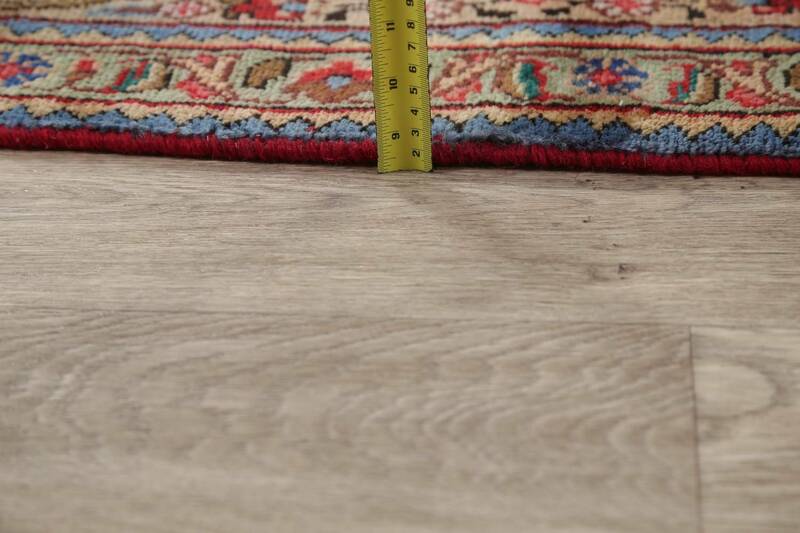 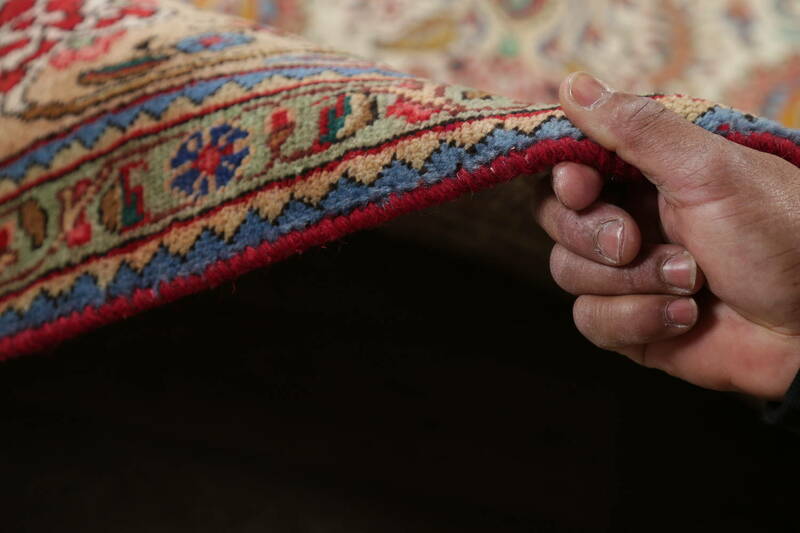 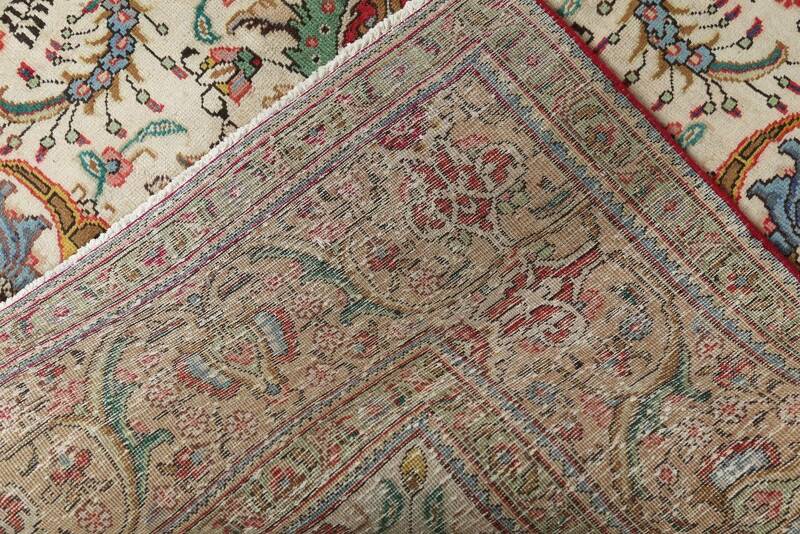 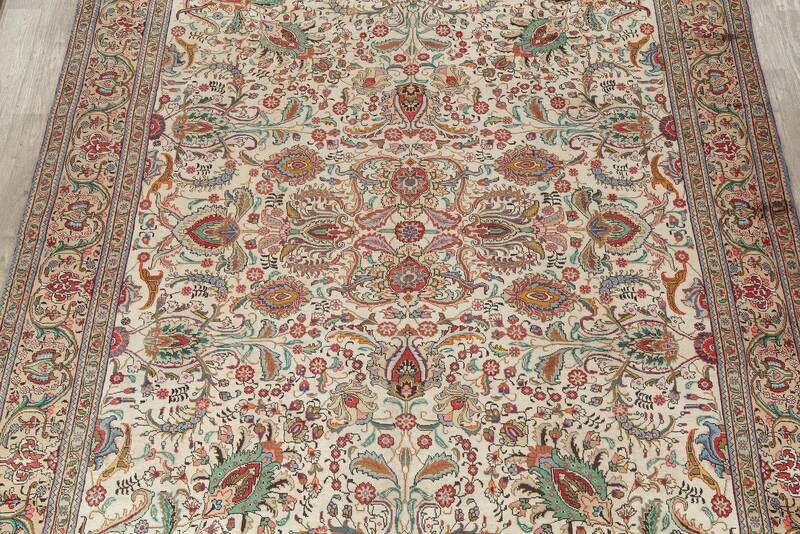 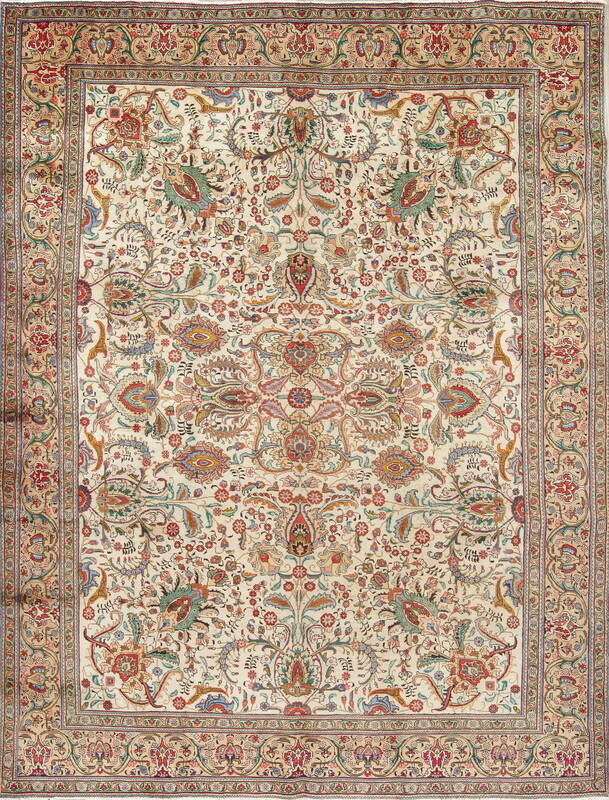 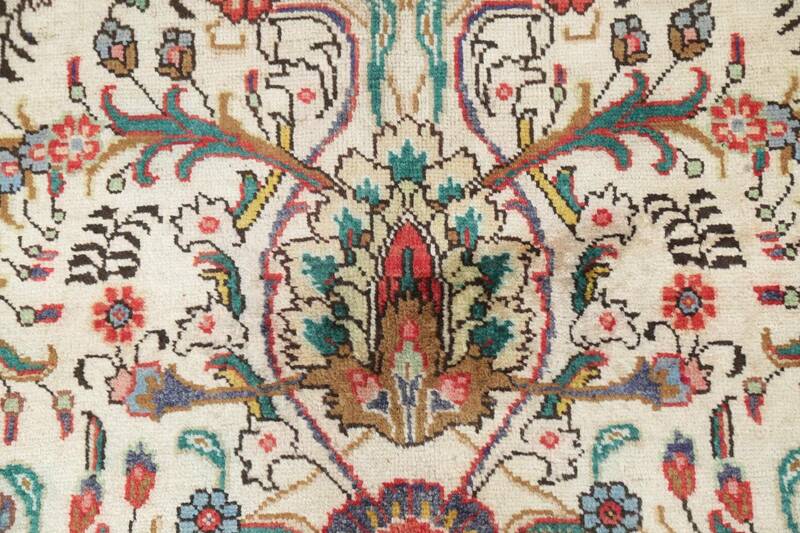 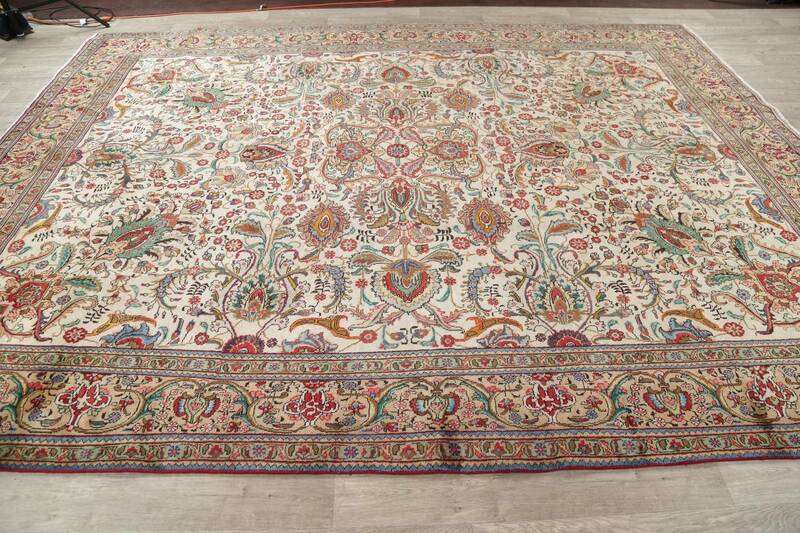 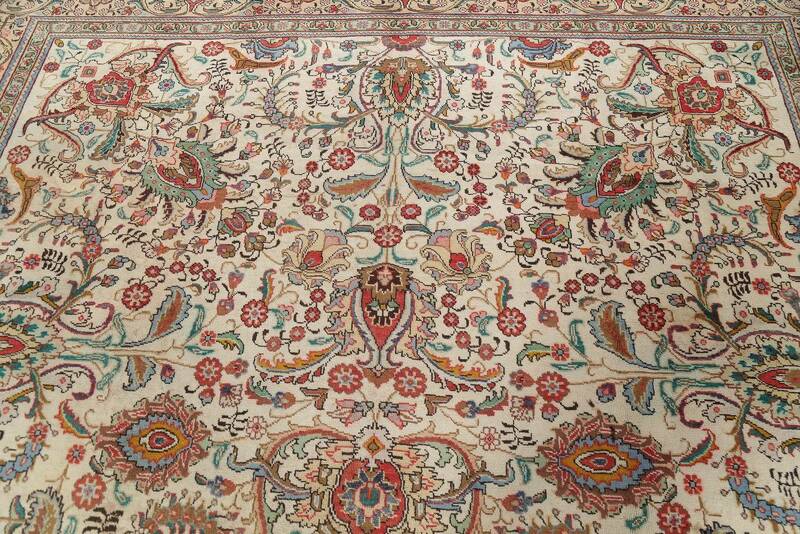 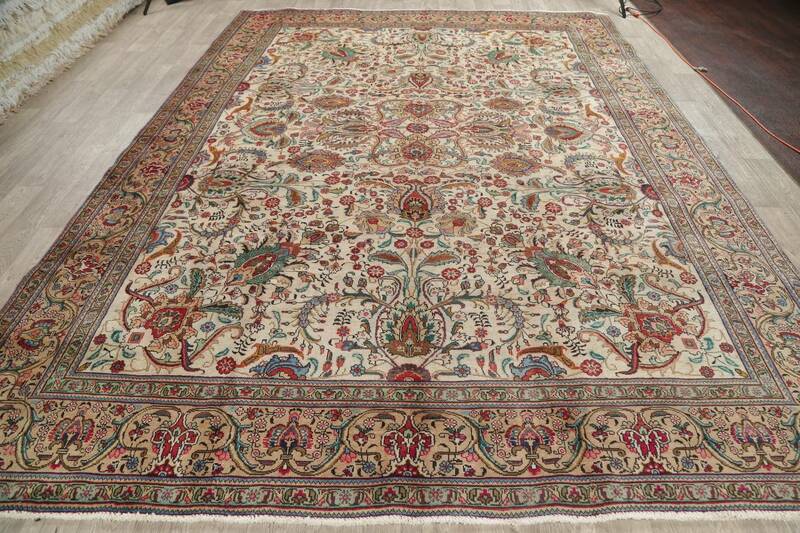 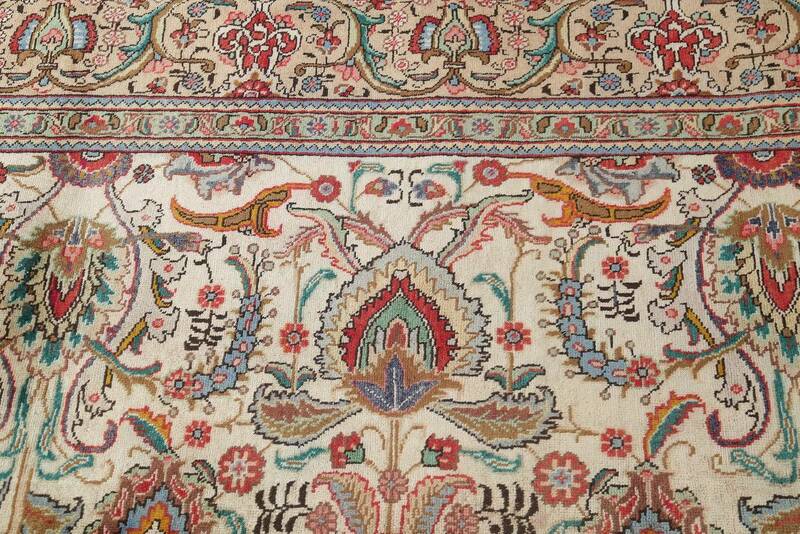 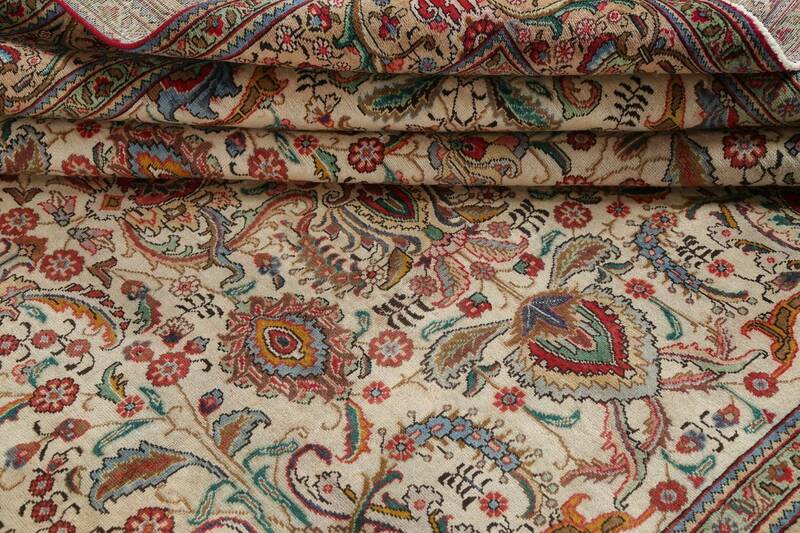 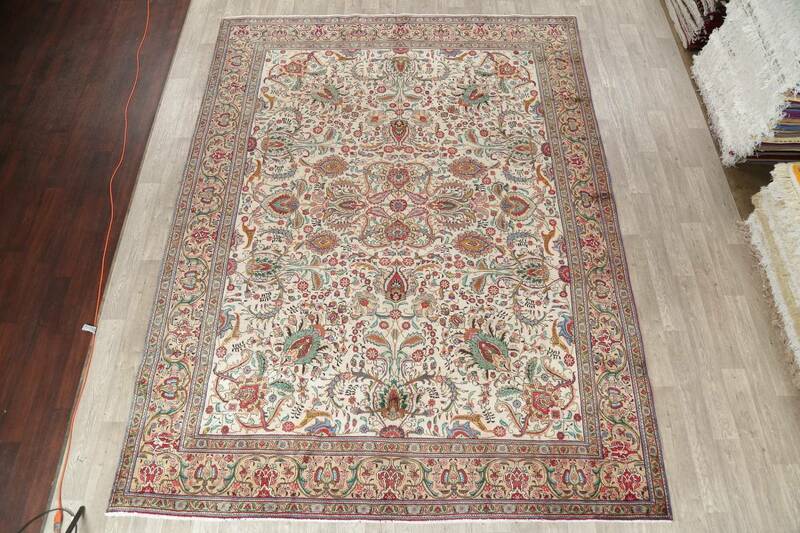 A Beautiful Genuine Iran ( Persia ) Tabriz rug is Hand Knotted by skillful weavers in Iran ( Persia ) with 100% Wool Material. 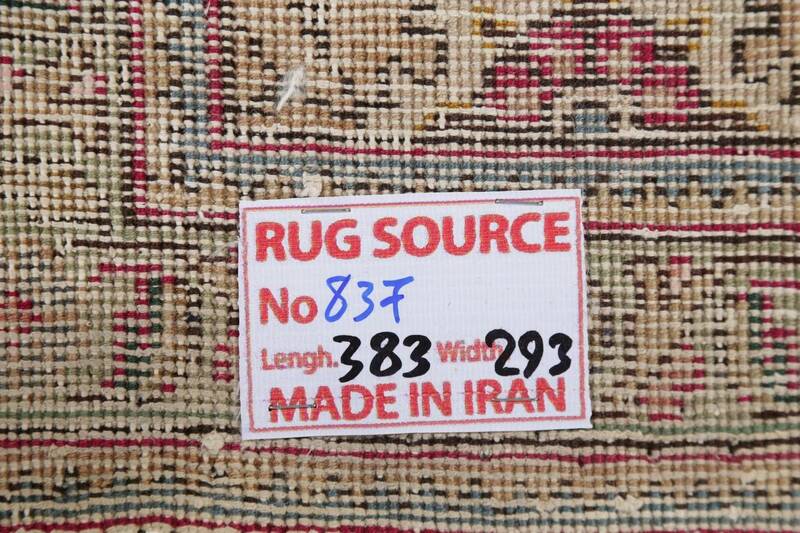 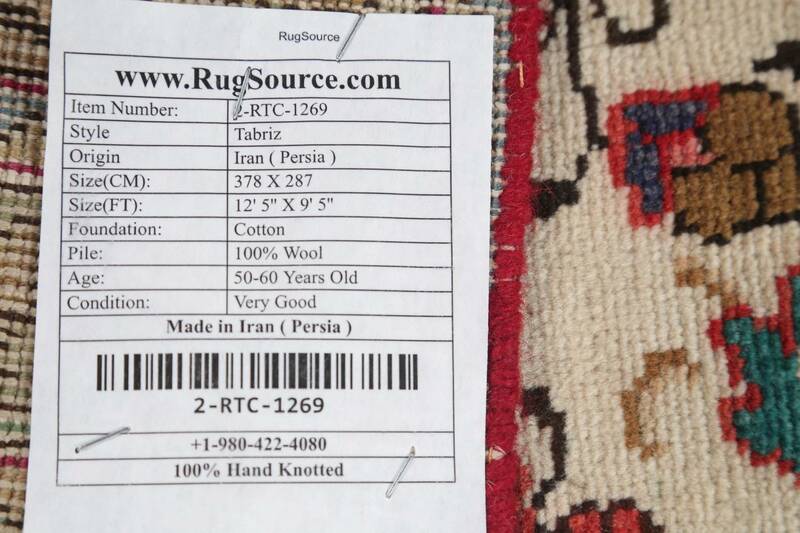 This rug is in Very Good condition. 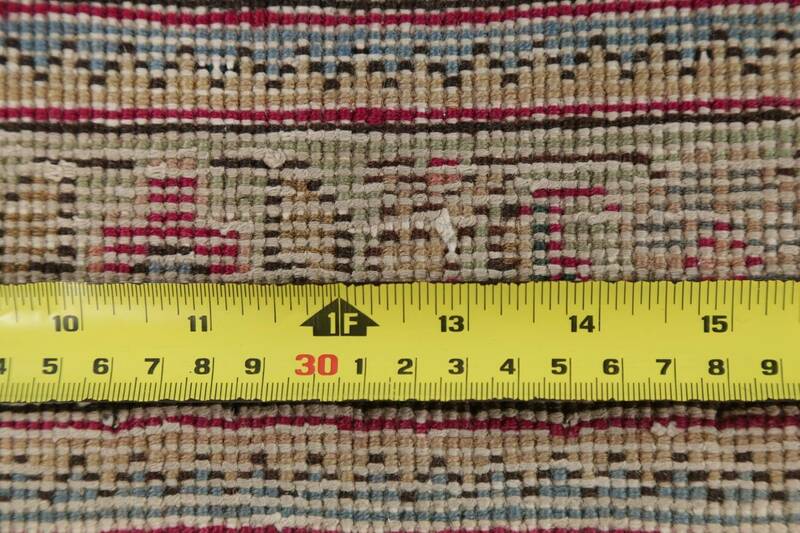 dimensions are 12' 5'' X 9' 5'' in foot and 378 X 287 in centimeter. 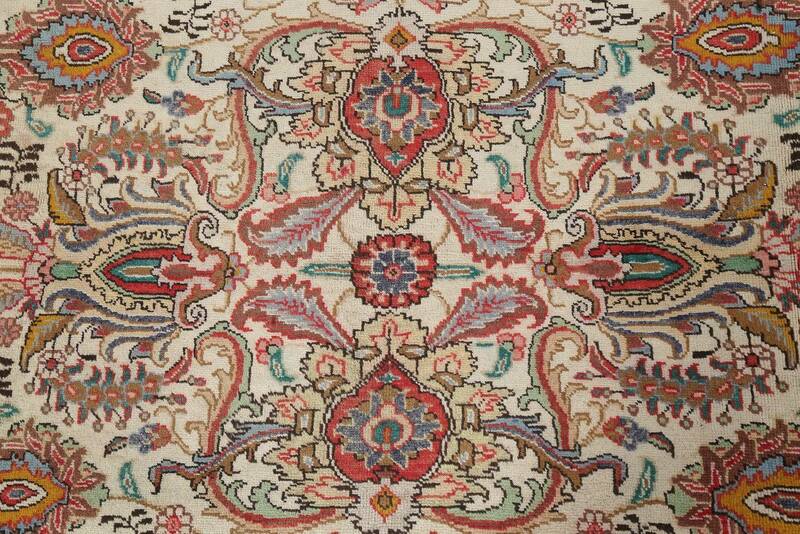 the primary color is Beige & Ivories.